It seems a lot of people resolved to get serious about their small business in 2013. What better way to start than with professionally designed and printed business cards? Here are a few I worked on in late 2012/early 2013! There’s nothing more valuable to an artist trying to make it than a truly supportive patron. Not only do they support you financially by buying your work (always important! ), they boost your confidence and remind you that what you’re doing is indeed worthwhile. If you’re really lucky—like me—they also invite you to fabulous dinner parties and introduce you to their fabulous friends! My favorite client ordered a set of stationery for each of her closest friends and family. It was a great collaborative experience in which she told me a little about each person’s personality and I designed a monogram or image just for them. 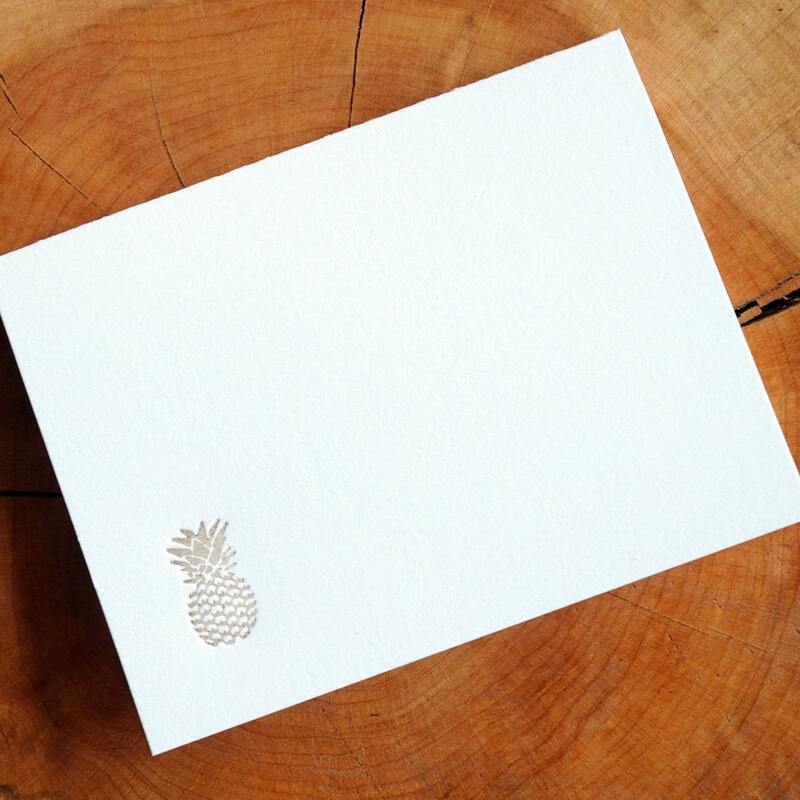 I thought the pineapple card might be rather popular, so I printed extras and they’re also available here!